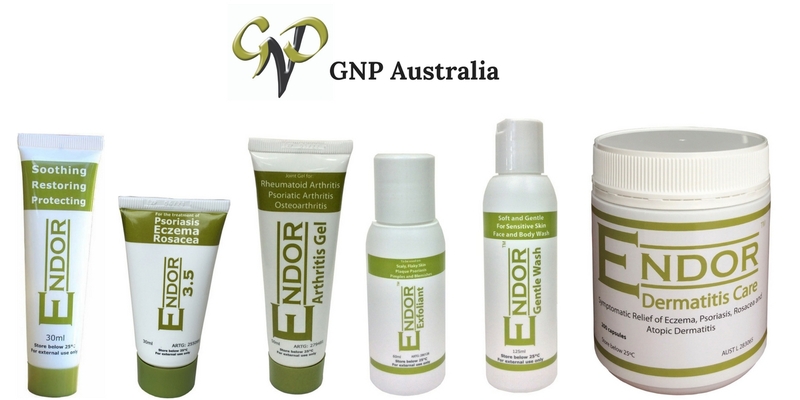 All of the ENDOR™ products and the research behind each one of them, are done by GNP Australia. GNP Australia Pty LTD – ABN: 63 079 162 100 – is an Australian owned and operated company, with extensive experience in immune related conditions. All of the ENDOR™ products are developed and manufactured in Australia. At GNP Australia we work tirelessly to develop products to deal with chronic conditions; without side effects. Our ethos is to do no harm and to use the body’s own natural resources to deal with immune related conditions. It is impossible to talk about ENDOR™ and GNP Australia without talking about the discovery of a natural compound produced by the immune cells, that is the corner stone of products produced by GNP Australia. This compound was found to enable the immune system to return to normal levels. At present we are targeting immune related dermal conditions, such as Psoriasis, Eczema and Rosacea, however, we have set our sights on developing products to treat other chronic immune conditions in due course. To know more about our history, please click here. To know more about our discovery, please click here. At GNP Australia, we are dedicated to developing well tolerated products, with health benefits, for symptoms of immune related conditions. We are continually developing new products and improving our products for these conditions. If you suffer from one of the conditions, that we have products for and are developing new products for, we give you our commitment that we will work tirelessly to make sure you can be confident in receiving the product that will provide health benefits, to help sooth the symptoms of immune related conditions. You may find more information about us on Google.